Juice lemon and add juice to a glass with honey. 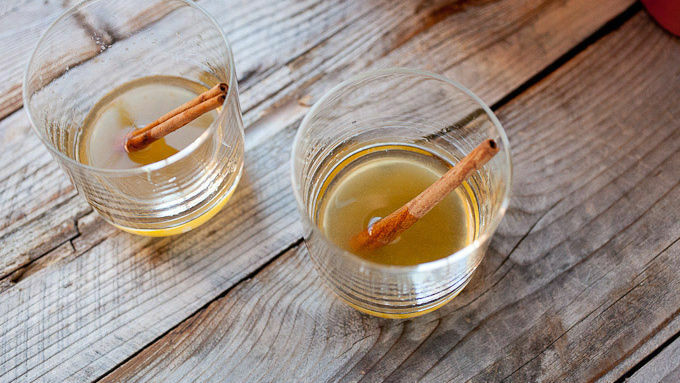 Pour in bourbon and stir together with cinnamon stick. Pour hot water over cinnamon stick into the glass. Let steep for 5-6 minutes. 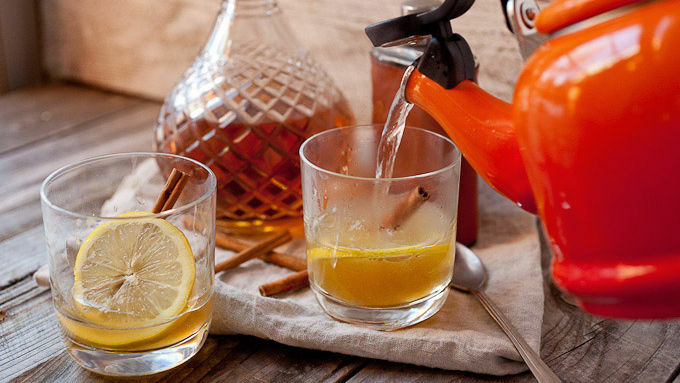 There’s a very old household remedy to the common cold that involves whiskey, lemon, and hot water. It’s supposed to soothe the throat and scare off any strange bacteria and viruses. I absolutely cannot vouch for this cure. 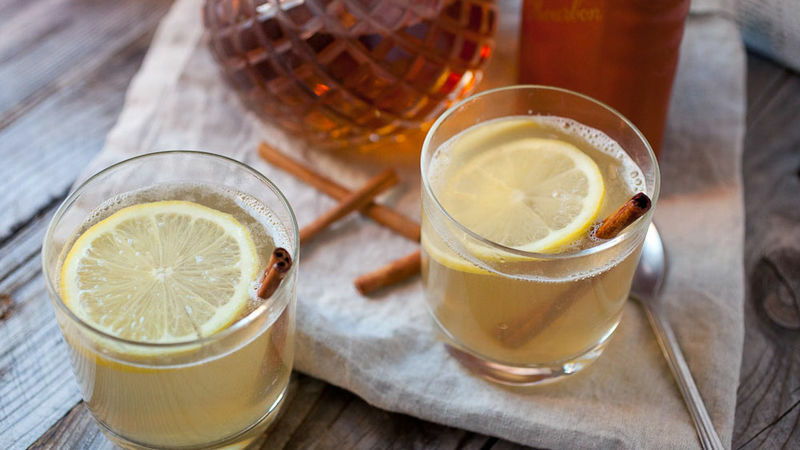 What I can vouch for, though, is this cinnamon hot toddy being the perfect cure for cold days. If you have a little scratch in your throat, it might help, but I can guarantee it’ll put a smile on your face! The other good news? It’s super-easy to make. The basics of it are lemon, cinnamon (a whole stick), honey, good quality bourbon, and hot water. I keep all of these things in stock in the winter! Let the mixture steep with the cinnamon stick for 5-6 minutes before drinking it so the flavors can mingle and the water can cool off just a bit. Sip it and relax. Life is good, even in the winter!